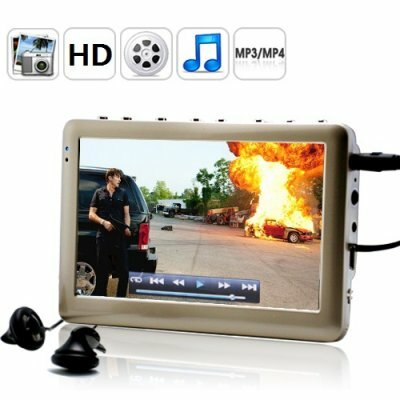 Successfully Added iMedia HD MP4 Player with 4.3 Inch Screen - Silver to your Shopping Cart. Enjoy high-definition movies, music, and e-Book reading on the go with the iMedia HD MP4 Player. With a beautiful 4.3 inch screen, high-definition 720P video playback (for AVI and RMVB files), and a wide range supported file formats, the iMedia is the perfect media companion for traveling. muito bom o aparelho, só meio dificil de mexer pois nao é touch screen. Mas tem uma boa qualidade de video. i am thinking of making a purchase, i like the design and features.